We’ve stated the 25 browsing apps that ensures to give you smooth browsing while saving your very precious data. Check out the 25 best browsers for your Android smartphone. Smartphones are now used by billions of people across the world. And there is perpetually an inadequacy to browse several sites and to download the media from the internet. In all these cases, we deal with our browser. The browser is an app or software designed to work as an interface between internet and user. It demands the server website and then displays the web pages. A determination of valid Web Browser is very significant for our phone. As now there are so many popular web browsers like Google Chrome, Mozilla Firefox, Opera, Safari, UC Browser and countless more. Although all browsers do same basic work that is opening web pages a good browser loads the web pages quickly. Now let’s have a look at the Best Android Browser. There are some browsers which are known to very fewer people but they work far good than these traditional browsers. Below I have listed the Best Android Browsers on the basis of Page processing speed, user privacy protection, and downloading speed. This is very popular browser among the Android users. This browser has a very attractive look. Page loading speed of this browser is also very good. The main feature of this browser is that it can enhance the site like old sites which works perfectly only on old flash players and in this browser that sites will open perfectly. Dolphin Browser is one of the best AdBlock Browser. With AdBlocker, you can block popups, ads, banners & ad-videos. It displays your open tabs and lets you switch between them by swiping. Incognito browsing mode offers you real private browsing experience without leaving any historical data. This is a best Android browser as many of us get bored with our Google Chrome default browser but this is much better than it. As in this browser, we get the live updates of the browser directly from Google and we can also give our feedbacks regarding the browser development. This is the awesome way to stay updated with the browser development. This browser is highly customizable, with backgrounds and other add-on functions, and it also has the ability to emulate a mouse cursor and a trackpad – ideal for those who miss the laptop experience on mobile. It also works by transferring material to its “cloud servers” before delivering it to your handset, which theoretically helps with loading bigger website files on devices with the smaller bandwidth that is more quickly. All traffic from Puffin app to Puffin server are encrypted, a protection from nearby hackers. As the name indicates this is the best Android Browser as it mainly concentrates on user privacy.It has the feature to surf anonymously over the internet. And in this browser all the saved cookies, cache and history get automatically deleted when you exit the browser. Access blocked sites securely and faster with a Smart Private Proxy Service hosted on a super-fast gigabit server. Prevent any snooping on your recent browsing activity, even if it is still active in your recently opened applications. Only you can open Javin. This is my favourite browser. As in this browser, there are unique features despite this browser doesn’t provide the dedicated search but this browser has a special feature that is it can give you the indication after a page is a load completely. With these features, you can save your lot of time by doing your work and left the browser to open the page. After a page has been loaded, it will give you the indication and then you can open it. Link Bubble’s flick physics allows you to go from clicking a link to sharing a link or adding it to a service such as Pocket in little more than a second! Load multiple links from your current app at the same time. The benefit you will get after installing this Browser is that it doesn’t freeze and it actually maintains a good flowing. It gives you compressed data usage, and boost up your browsing experience. It comes up with Night mode facilities too that help you preserve your battery life. UC Browser compresses data, speeds up navigation and saves precious MBs of your internet package. UC Browser Adblock will block out most annoying Ads on Main sites. This unique feature speeds up Facebook. No matter the speed of your internet, UC Browser finds a way to increase the speed. Its servers speed up and stabilize downloads. In addition, if any dropped connections UC Browser continues downloading from the breakpoint. It is one of the fastest Android browser ever. Guess what it saves lots of precious Mb’s. It is the superfast browser that doesn’t take much time to open up and it doesn’t hang. You can have full web experience too with Opera Mini. You can now scan and generate QR codes from within Opera Mini. Easily change the browser’s language from the settings menu. High-compression mode ensures a full web experience without using up your data allowance. Browse ninja style with private tabs to prevent your browsing history from saving on your device. Chrome is from Google only and the name says it enough to describe the browser. You will not get any better browser then this for sure. This is fast and handy and you can sync your bookmarks, history etc from your Google account too. CM (Clean Master) Browser is an ultra lightweight mobile browser which can protect you from malicious threats and gives you rapid browsing speed. It is much speedy compared to others, it is specially optimized for web browsing to make surfing a breeze. Warns you when browsing potentially fraudulent or malicious websites. This is the unstable version of Google Chrome. The release has not been tested and it’s in an experimental process. This browser is recommended for developers and advanced users only. Updates may be distributed up to seven times per week. However, this is extremely fast infact fastest browser on the Play Store. Mercury browser for Android let you browse and search webpages smoothly with such functions like: Ad Block, Flash support, Customize Search Engine, Patch Download Pictures, Batch Share to SNS, Multi Tabs supported(without limit), User Agent, Offline Reading List, Picture Block, Full Screen, etc. Watching video is much easier with the powerful flash support. Flawless ad block options built in. Enable Private Mode will stop Mercury browser from recording your browsing history and cookie. Protect you from being spied on personal privacy by clearing all the browsing history and cookies. FlashFox is the free mobile web browser that puts the power of the open & complete web in your hands. It is unquestionably the fastest Adobe Flash Player enabled browser on the market today! This is a lightweight, clean browser that gives you the control to make informed decisions about the personal data you share with the trackers on the sites you visit. Additional privacy options with quick and easy access to clear your cookies, cache, and granular history. Next Browser provides all new and user-friendly interfaces to offer you a better browsing experience. Browse the web faster than ever. Maintains excellent performance during 10,000+ speed test with an opening speed of less than 1.5s. Read breaking news and the latest updates on entertainment, sports, health, business, technology, science, etc. Browse in private with incognito browsing mode, leave no trace and secure your privacy. Switch to Night Mode to make night reading more comfortable and protect your eyes. DU Browser is a simple and convenient free mobile browser for Android. It gives you an ultra-fast browsing experience and a massively useful information for everyday life such as latest news, videos, music, soccer, meme without searching. Experience a fast, smart and personal Web. Firefox is the independent, people-first browser made by Mozilla, voted the Most Trusted Internet Company for Privacy. Upgrade today and join hundreds of millions who depend on Firefox for a more personal browsing experience. Easily Access shortcuts to search providers like Wikipedia, Twitter, and Amazon. This is a unique browser which works in a floating window as opposed to a full-screen mode. This is what makes Flynx different from all other web browsers out there. It loads articles and other links in the background while you continue using your current app. Flynx intelligently gets rid of all ads and unnecessary clutter from blogs and articles. Saving articles offline is super easy. Just double-tap a link from any of your favorite apps and that’s it! 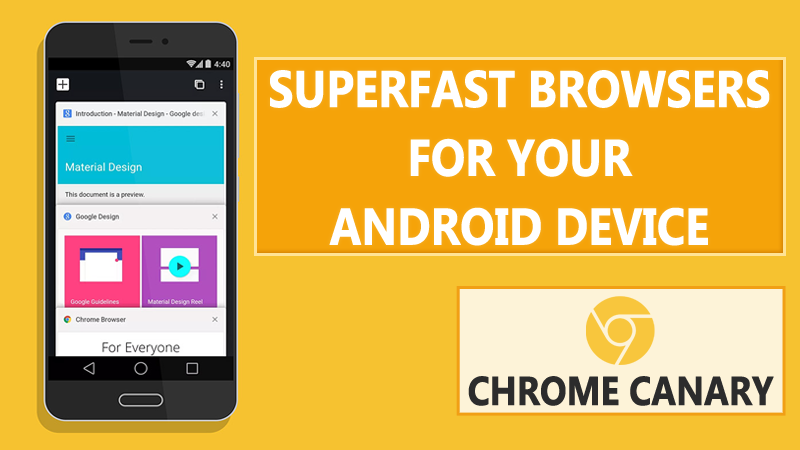 Try the lightest and fastest web browser for your Android device. Super Fast browser is really light, packs only what you need and lets you surf the Web at the speed of light. Via browser won’t push news and other things to you. No, bother to your android devices. It uses much less memory usage on your android devices. Keep your android devices as fast as new. Via browser is designed for Minimalism. Best choice for geek user and who enjoy lite products. It is a secure browser that offers maximum privacy and security. You can lock your secrets away and enjoy a comfortable browsing experience with all-around protection. With the help of its video detection function, Armorfly browser makes various online videos downloadable. Phoenix Browser is the best free web browser for Android devices with Video Download, Fast & Private Browsing and Data Saving. It helps you access news, videos, H5 games and popular websites quickly and easily. With the help of its video detect function, Phoenix Browser makes various online videos downloadable. Bookmarks help save your favorite websites and provide quick navigation for revisiting later on. Add your favorite websites like Facebook, Twitter, Instagram, YouTube, Amazon, Wikipedia, etc. Recommended popular websites for quick access. You can customize the list to your liking. The built-in video player provides a one-stop service for video downloading to video playing. Ecosia is the search engine that plants trees with its ad revenue. All profits are used to finance tree-planting programs and empower communities all over the world. Ecosia Browser uses Ecosia as its search engine, which means you can plant trees for free, just by searching the web. Ecosia Browser is based on Chromium and is as fast and secure. The browser also has support for Tabs, Private Mode, History, Bookmarks, and downloads. So, above are the Best Android Browsers. You will surely like these browsers and you will definitely forget your traditional browsers. Download and install any one of your choices and have fun over the internet. Don’t forget to share the post. Tell us your favorite browser as a comment below. Manpreet Singh is young Entrepreneur who is managing Tech Viral & Also an aspiring blogger and Chief Editor for Tech Viral. He is an Experienced Blogger, SEO Expert, Digital Marketer, Certified Web Developer & Social Media Expert.